Classrooms have embraced many different layout designs over the years- from the traditional classroom, the open classroom, to creative maker spaces. I went to elementary school during a classroom renaissance- the open classroom. The layout had four classrooms in one large room with high ceilings and gathering and transition spaces in the middle. The desks were mostly in rows or pods and never moved. I tried to focus on my teacher while other teachers spoke in the adjacent spaces and my teachers learned how to “build” walls with bookshelves and rolling chalk boards. Even still, my friends and I managed to wave and make faces at one another from one room to another. I then moved on to junior high school and high school where the desks went back to rows. And so, it went for many years. Fast forward 20 or so years and the special education department started to use furniture and accessories to meet the needs of specific students. A wobbly cushion with a nubby texture, a slanted rubber mat, a fidget, all singled out certain children by requiring them to lug around their special seat from one place to another. Eventually teachers had an epiphany, realizing it’s not just certain students that need and want choice and control over where, how, and IF they sit, it’s everyone. Place Matters. Maybe one student comes into class following a tough chemistry test for the last hour and a half and needs to stand after sitting and focusing for so long. Perhaps the teacher doesn’t know that a student had soccer practice last night until 9:30 and could use some soft seating to feel more comfortable. 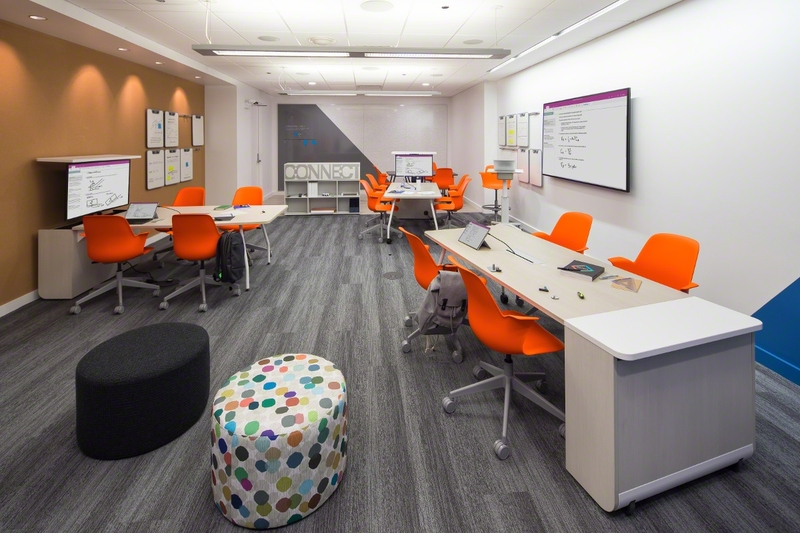 Research shows that providing flexible and active spaces for students causes engagement and retention to rise. Yet, schools were not ready to jump in or didn’t have funding and so teachers, as they always do, got creative! They bought and affixed casters from the hardware store to the bottom of tables, purchased bed risers to raise desks to standing height; I, myself, once purchased six plastic storage boxes to put under the feet of smaller third graders so they could sit properly on a chair to type with their feet flat on the “floor”. Unfortunately, the makeshift fixes don’t fit the students properly, break quickly, and are unsafe. Since leaving my most recent position in a school last year and coming to the furniture industry, I have been blown away by the products available and how different types of furniture can be used in the same classroom to suit all types of learners and lessons. 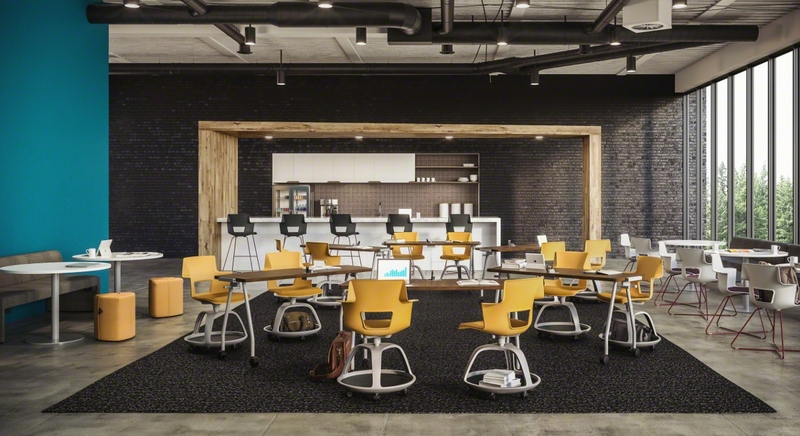 Teachers want a flexible space that can go from a traditional teaching situation to small group discussions, large group discussions, and to individual focused work or furniture that can be moved out of the way altogether. They want to be able to make these transitions in a matter of moments without having students get a workout moving heavy tables and chairs around the room while taking up valuable class time. Students want choices and the ability to control what posture they learn in. For some, a chair on casters with a desk arm to pull across is preferred. Some might prefer a soft couch to sink into with a small table to pull up for their notebook or technology. Whether a student wishes to sit or stand, there are options. Does the standing student need a balance board to help engage their lower body and focus? Do they need a desk perfectly tailored to their height? No matter the posture desired and classroom layout, we now have furniture that best supports students and teachers. 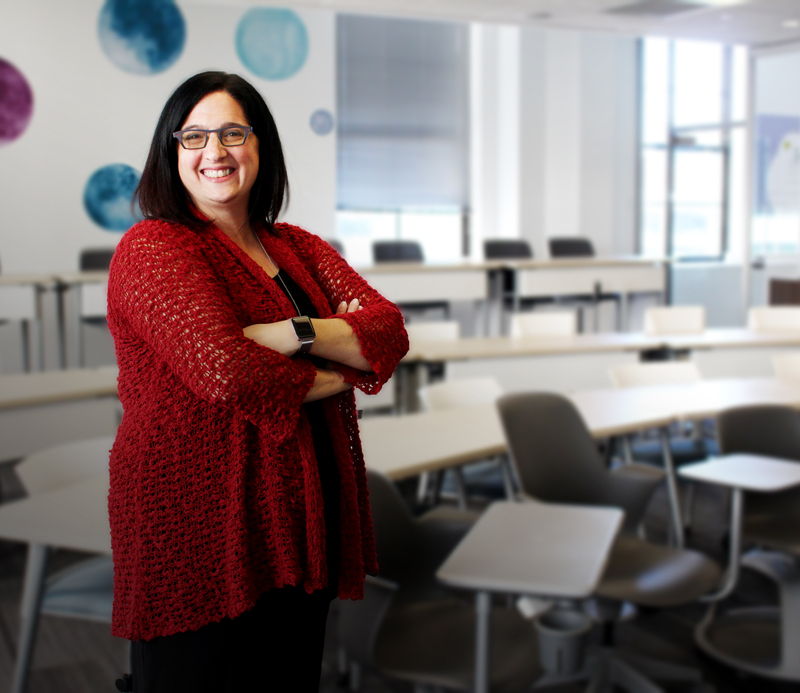 As Atmosphere’s K-12 and Higher Education Workplace Consultant, I am looking forward to connecting my education and long history in public and private schools with the products and research that has been done by Steelcase to help schools create inspiring spaces for their students, teachers and faculty. To help kick-off the year, I’m excited to announce our Flip Your Classroom contest where one Twin Cities Metro teacher will win a classroom makeover worth over $50,000! This teacher will be able to create a dream space that exceeds the needs of their classroom now and well into the future! It’s going to be a busy year at Atmosphere and I can’t wait to begin!